For some children, learning reading comprehension, grammar, and writing skills in the context of literature makes things easier. I, personally, love to tie books into our subjects. 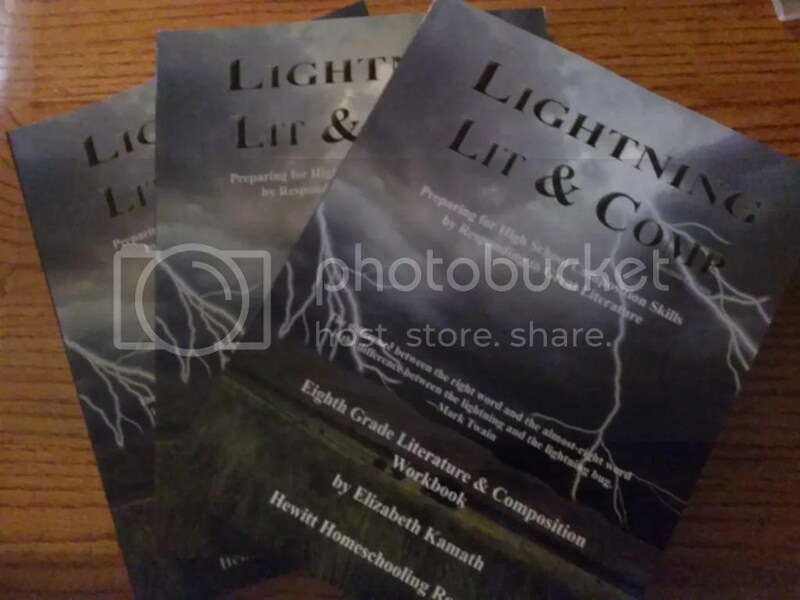 For this review, we got to check out the eighth grade Lightning Literature set from Hewitt Homeschooling. 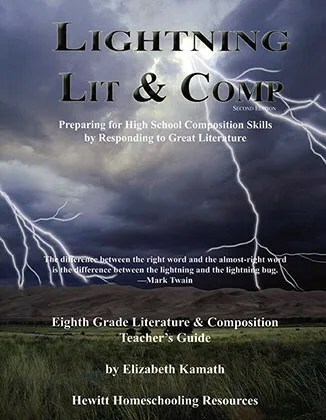 It includes the Lightning Literature and Composition: Grade 8 Student’s Guide, the Lightning Literature and Composition: Grade 8 Student’s Workbook, and the Lightning Literature and Composition: Grade 8 Teacher’s Guide. I used this set with my son, who is a new 8th grader. Now, let me say that reading is not really his thing, and in the paperwork I received with the review, it states that the grades are fluid and this guide could be used for 8th-9th grade. I think that it was a little above his level in some respects, so we picked and chose which literature we would read. Next year, I will return to this program to finish it up. The set comes with a student’s guide, workbook, and teachers guide. The literature is not included, although a lot of it is available at the library. Some of the books used in the 8th grade program include: Treasure Island, A Christmas Carol, The Hobbit, and To Kill a Mockingbird (which my son will not read until high school). The program also focuses on some short stories and poetry. Some specific skills addressed in Lightning Lit for 8th grade include: humor, symbolism, setting, and author’s purpose, among others. Okay, first of all, the books are very well done. The Teacher’s Guide does a really good job of explaining each part of the program, and gives you a suggested schedule for each section. Lessons begin with the introduction to the author and story in the Student’s Guide. From there, children complete the reading. Now, the schedule as it was laid out was a little much for us. The novels were read in large chunks that were too much for my son, so we broke the reading down into smaller pieces. For example, in the first week of Treasure Island, students were supposed to read 12 chapters. We read about eight. But it doesn’t really matter, because the way Lightning Lit works, you just move on to the exercises when you finish the reading. This makes it especially homeschool-friendly in my opinion. Once the reading is done, the student guide lists some comprehension questions, and then moves into the lessons. Again, the suggested schedule has these set up for completion in one week, but you can certainly slow that timeline down. Students begin by reading the lesson in their workbook. While the lesson is written directly to the students, the Teacher’s Guide offers suggestions for expanding on the lessons. Each lesson has a focus (such as setting for Treasure Island). The main lesson teaches about that focus. A mini lesson, often focused on some type of writing, is also included. Workbook pages relate to both the story, the lesson, and the mini-lesson. A basic vocabulary list is included, which parents could use for their own lessons if they wanted. I thought the workbook pages were very good. They offered sufficient practice for my son to grasp the concept. Of course, the Teacher’s Guide includes answers to all of the comprehension questions and workbook pages, as well as suggested discussion questions. At the end of each lesson, suggested optional writing activities were included. Some of these focus on creative writing, while others focus on informational writing. We always chose at least one writing activity per lesson. So, what did I think of this program? I think Lightning Lit and Composition is a VERY thorough and advanced program. It delves deep into the literature while also doing a great job of teaching important concepts your child will need in high school. That said, it was a little much for my son at this point, but I am definitely going to hang onto it for next year. Now, as far as my son’s opinion went, he enjoyed the stories when we read them together, and he liked how the lesson were written directly to him (those he had no problem with on his own) and the workbook pages were easy to complete. Some of the books were just a little meaty and frustrating for him. So, I would recommend this program for strong readers in the 8th grade, and for others, I would suggest looking at a grade below your child’s level (I think the 7th grade book would have been perfect for us!). The Lightning Lit books are priced as follows: Student Guide: $25.00, Teachers Guide: 20.00, and Workbook: $25.00. I think they are well worth it if you want a solid, literature-based program. 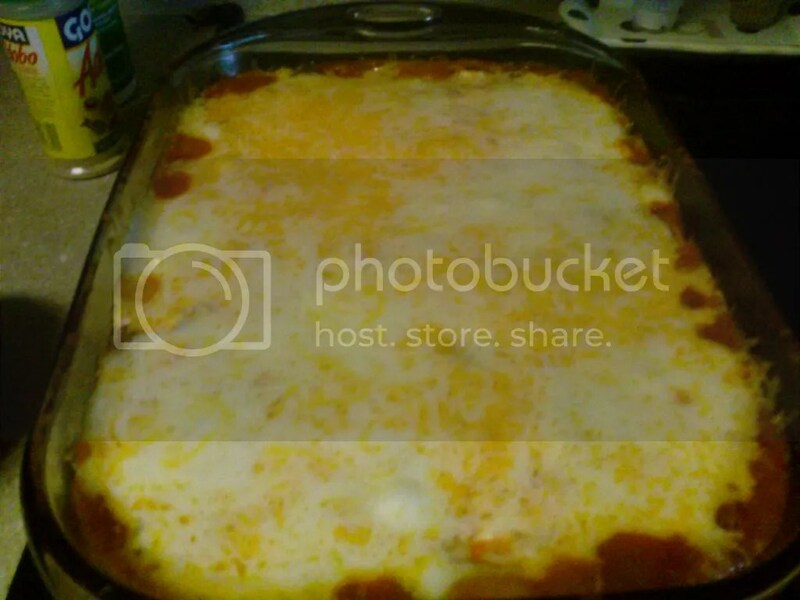 Cheese…beans…meat…cheese…yum! I have to admit, my personal tastes lean toward stuff that isn’t exactly super-healthy. While I do make sure we eat healthy meals like grilled lean meats and fresh veggies several times a week, some nights just call for some old-fashioned comfort food that cooks up fast. This week, I am sharing this recipe for an enchilada casserole that is a classic one-dish meal. 1. Brown and drain the ground beef and onion. 3. 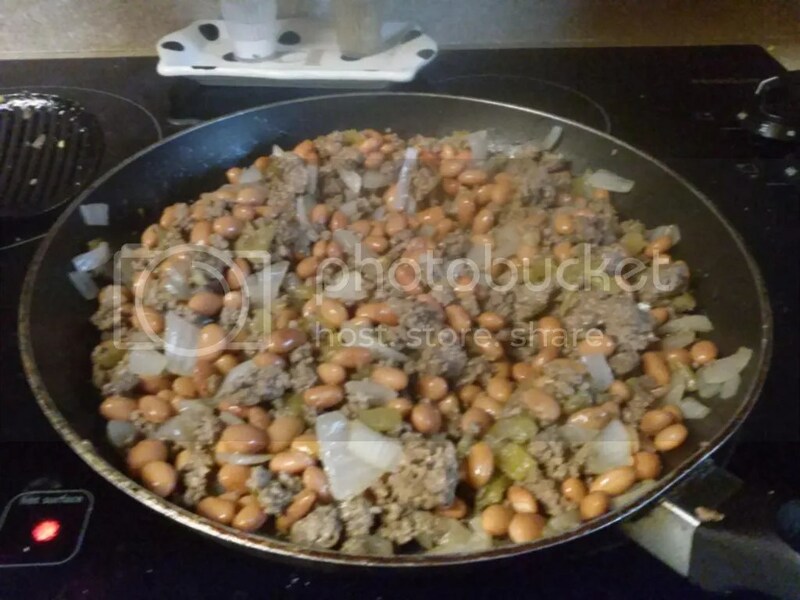 Return the meat mixture to the skillet and add in the cumin, chili powder, and pinto beans. 4. Cook for a few minutes to heat through and set aside. 5. 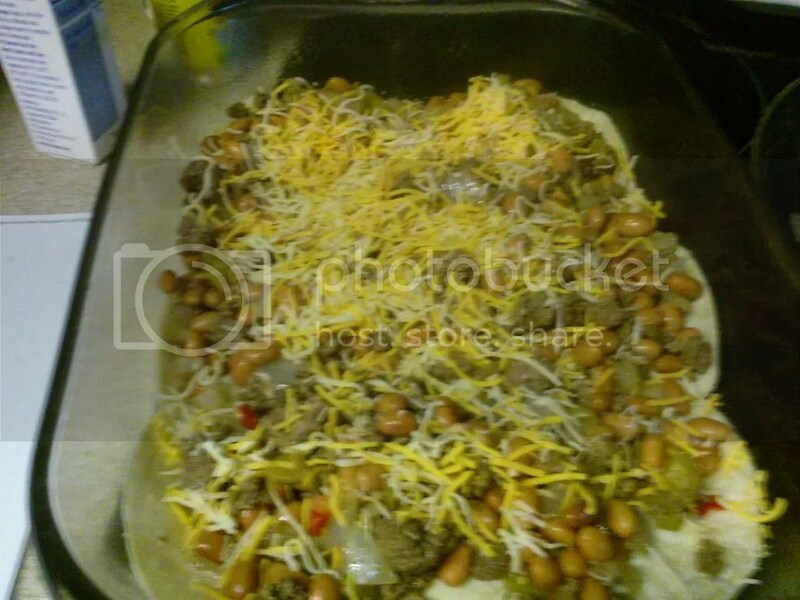 In a medium bowl, combine the sour cream, flour, and garlic powder. 6. 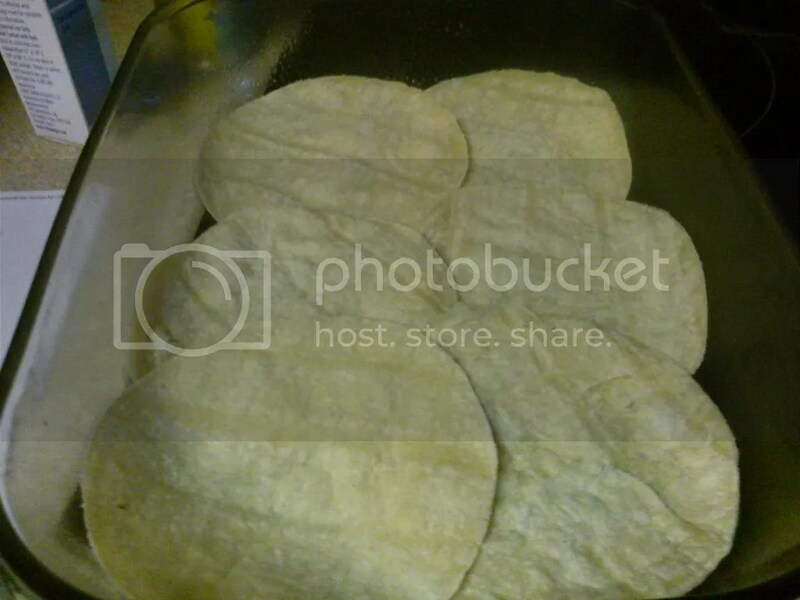 Spray the bottom of a 13X9X2 casserole dish and line it with the tortillas. 7. 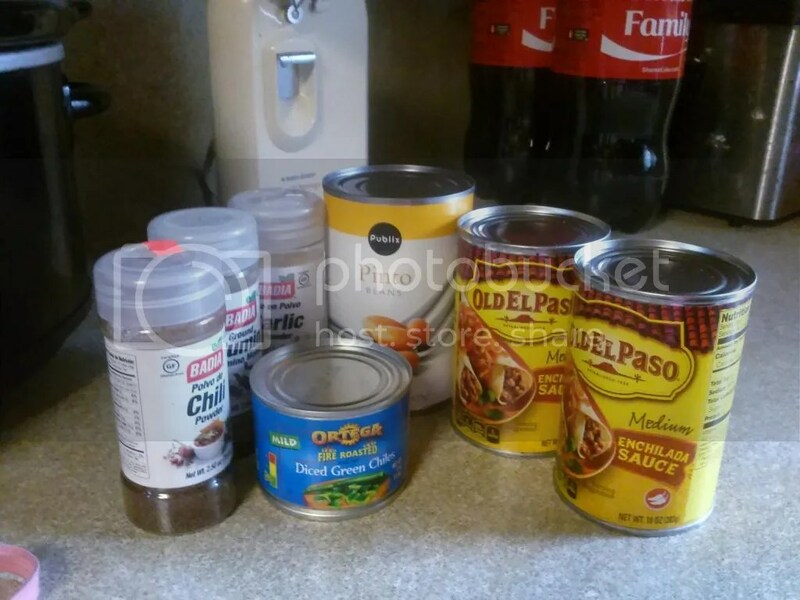 Spread a layer of the meat mixture over the tortillas. 8. Spread a layer of the sour cream mixture on top of the meat and cover with 3/4 cup of the enchilada sauce. 9. Layer 6 more tortillas on top the enchilada sauce and repeat the layers. 10. Pour the remaining enchilada sauce over the top of the casserole. 11. Cover with foil and bake at 350 degrees for 30 minutes. 12. Remove the foil and sprinkle on the cheese. Cook for 5 additional minutes until the cheese melts. This dish also works great for a party. Clauses, prepositions, predicates, phrases……grammar!! I am an English teacher and I love words..my kids make the joke that “mom only laughs at grammar jokes”. Well, it’s true, I do laugh at those funny grammar memes you see on Facebook, and for me, grammar just makes sense. However, even my love of the subject does not make it easier to teach to my children. My youngest son really struggles in this area and I am always looking for programs that will help it make sense in his head. For this review, I got to try the Analytical Grammar program from the ladies at Analytical Grammar. This program is aimed at students in 6th grade and up. For sixth graders, the program can extend over three years when used along with the Reinforcement and Review workbook. For older students, parents can choose a one or two year schedule. Parents also have the option of using the Companion DVD that feature authors Robin and Erin teaching the lessons and going through examples. Analytical Grammar comes with a student book and a teacher book. For the most part, the teacher book is the same as the student book. It includes all the same pages, but has the answers for the worksheets and tests. 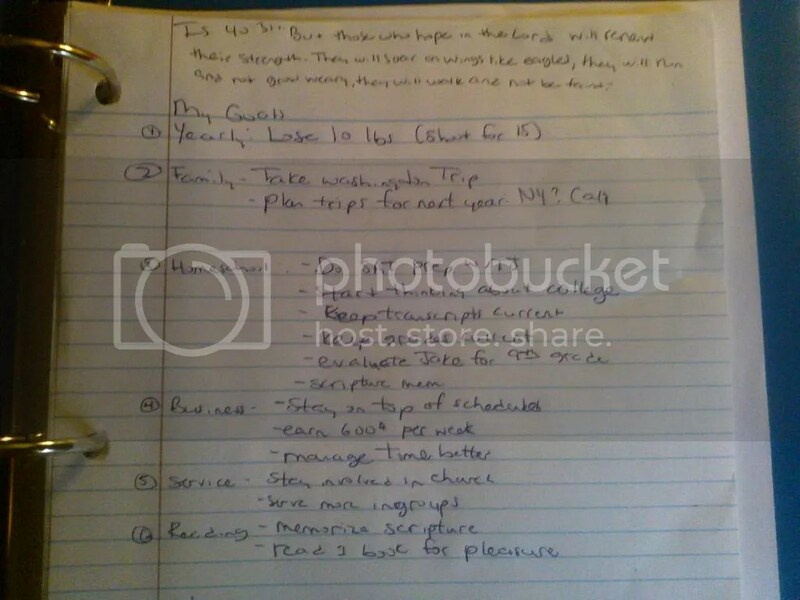 It also includes a section in the beginning that offers a suggested schedule and how to grade the work. I will say this feature was really nice for me. The suggested schedule made the lessons very easy to follow and the grading system was very easy to understand. Basically, each lesson begins with a page of notes that explain the lesson for the week. These notes are short, and clearly explain the concept with examples. If you are using the three year plan, you would cover basic grammar topics from nouns to conjunctions the first year, phrases and clauses the second year, and punctuation the third year. If you are using the book in one year, you would cover all 35 lessons in a year’s time. We started each week with the DVD lesson, mainly because my son and I have butted heads over this topic so much that we each become very frustrated when working on grammar now. So, I really appreciated having the DVD “teacher” there. For some reason, he seems to listen better to someone else, and he can’t argue with a DVD. I sat there while he watched the DVD to answer questions if he had any, and to go over the first few examples with him. The DVD lessons are short and easy to watch, and Robin and Erin do a very good job of explaining the concepts. 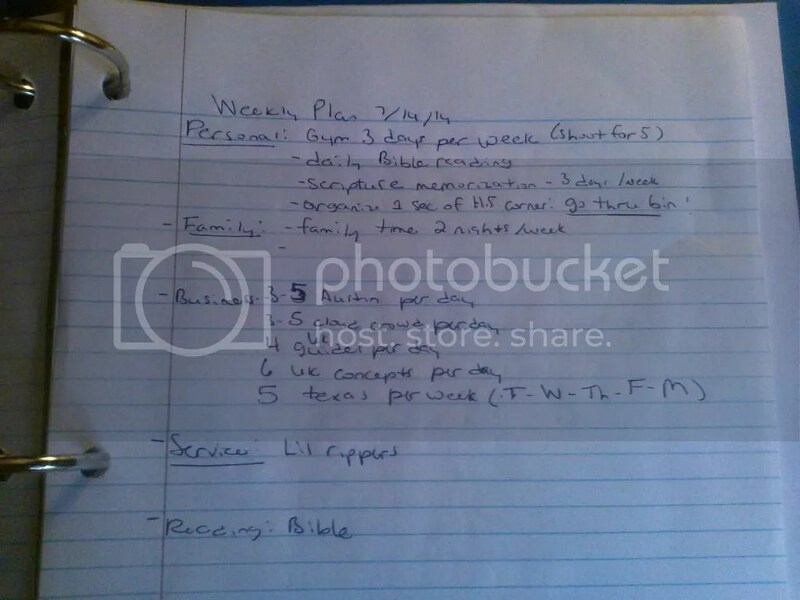 After going over the notes on Monday, you assign the first exercise to your child. Each exercise consists of practice sentences for the student to complete. Some lessons involve diagramming, while others involve marking parts of speech. Most practice pages run between 10 to 20 sentences each. 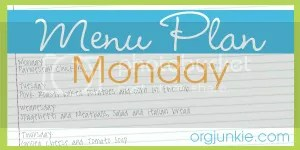 On Tuesday, you and your child go over their practice page from Monday together. The idea is for the student to learn to correct their own mistakes, but the key is to only focus on the mistakes related to the lesson you are studying. So if the lesson is on pronouns, and there is an error in prepositions, you can discuss the error, but it does not count against the student. The theory is that over time, students will eventually internalize the instruction and correct all of their errors. After making corrections, parent assign the next worksheet and the pattern continues. There are three worksheets in all, and the week ends with a test. Tests are given open book and graded together as well. My son responded very well to Analytical Grammar. The short duration of the lessons made them easy to complete. I would say each lesson took us no more than 15-20 minutes each day, which meant he no longer dreaded doing grammar. I liked the whole idea of training students to correct their own errors, especially since my son is an 8th grader. Next year, and each year after that, I expect him to become more and more independent in his work. I need him to learn how to self-correct his grammar. The first few lessons went pretty easily for us, as my son got used to the method this program uses. He struggled a little with labeling the parts of speech, but once he caught on, he went pretty quickly. Diagramming was still…diagramming. Honestly, I don’t think there’s anything that can make that interesting, but my son seemed to catch on, at least with the simple diagrams. I suspect he will still struggle with the more advanced diagramming later in the program, but I don’t think that is ever going to be his strength, if you know what I mean. I am satisfied that by the time we complete Analytical Grammar my son will have a much deeper understanding of the subject, which will hopefully then translate to better writing. As a homeschool mom, I really appreciate how easy Analytical Grammar is to use. I just don’t have the time or patience for a three-part program that requires a 30 minute lesson followed by additional practice. While that method may work for some people, it just doesn’t work for me. 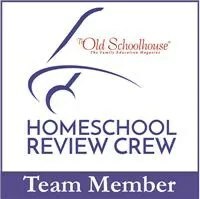 At this point in our homeschool career, I want something simple that works. 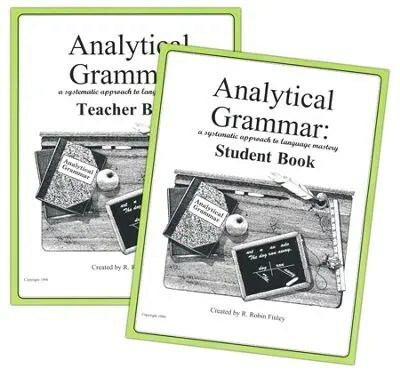 The Analytical Grammar set, that includes the teacher book and student book, costs $94.95. I know that’s a lot, but if you are like me (looking for a way to finally teach grammar to your grammar-resistant child while trying to preserve your sanity) then its worth it. Remember, if you have a 6th grade student, the program will last you three years. Also, as students complete these lessons, they are building a grammar resource book for themselves that they can refer back to in high school. Oh yeah, we are heading down to the keys to visit some friends for an overnight during mini-lobster season. I’m hoping to come back with some lobsters to try new recipes with 🙂 Thanks for visiting me for Menu Plan Monday this week! Be sure to come back next week! Ah..inspiration. Let me be honest, toward the end of the school year, I tend to lose my inspiration. I just feel so worn down as the year comes to a close. I like to use summer to recharge my batteries. For this review, I received a copy of Flourish: Balance for Homeschool Moms, written by Mary Jo Tate and published by Apologia Educational Ministries. I took it with me for some poolside reading during my vacation. Wow. This book is just full of so much…so much inspiration that spoke directly into my life!! 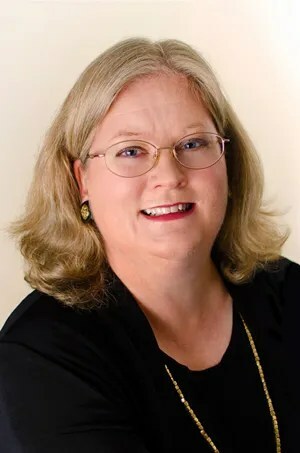 First of all, the author, Mary Jo Tate is an experienced homeschooler who also runs her own home-based business. She knows what it means to have to balance work, life, family, and school. As a single mom, Tate does all of this on her own…well, not completely. In Flourish, she explains how she finds balance, and lot of her secret has to do with something I struggle with: Knowing how to delegate!! Tate began her career as an entrepreneur as a freelance editor. I work as a freelance writer, and I have to say, at the time I was reading this book, I was on a much welcome break from my computer. I was feeling WAY overwhelmed. Even during the summer I find it hard to balance work and family life. Chores, shopping, cleaning…and forget just hanging out and having fun..and did I mention I made a commitment to myself to exercise this summer because I really really need to?? To be honest, I had begun to question if I was even cut out for this! I wake up at 5AM to have my coffee and quiet time. Then I go for a jog around my neighborhood before coming home to shower and get ready for the day. Once I am well dressed and presentable I make a healthy breakfast for my family. I hand my hubby his coffee and wake my happy and enthusiastic kids and we all share breakfast to start our day. School starts promptly at nine, with me toggling back and forth between writing, and helping my kids with their schoolwork. All of us have a great attitude. We break for lunch, then all three of us spend time cleaning up and doing some chores before getting back to school. School is done by 2:00 and while my boys finish chores and extracurriculars, I finish up my work for the day in time to cook up a delicious dinner to share after daddy gets home. We then enjoy a leisurely evening with my kids in bed by nine and me heading off to sleep by 11. I drag out of bed by 6:30 (okay, sometimes 7). Do some jumping jacks and wash my face. Read my Bible and resist the urge to check email. Barely manage to make coffee before the hubs leaves for work, at which time I am still in my robe. Wake my kids up about FOUR TIMES before they finally stumble out of bed at 9AM. Heat up some pop tarts while I go over the schedule for they day..deal with 10 minutes of arguing about who has which chores. Finally get school started at 10. Shower and get dressed while kids do math. Finally get to work around 11, have to immediately stop to help with school. Everyone figures out lunch on their own and the school day ends somewhere between 2 and 4. I cook up dinner and am halfway presentable when my hubs gets home. Kids finally get to be around 10 Then I am locked on my computer until 1 AM trying to catch up on work. Sigh…obviously there is a big discrepancy between my ideal and my reality. The problem is, my instinct is to kick myself for not living up to my ideal. Instead of cutting myself slack, I tell myself that I am just not doing good enough. The problem with that is, I will NEVER be that good. And I have to learn that while it is okay to have lofty goals, it is also okay to only achieve 3/4 of them (or even 1/2). In her book, Tate advocates setting over-reaching year-long goals as well as weekly goals. She tells readers to base their goals off of their vision for their lives. When setting goals, you can set them in levels, your “realistic” goals, and the ones you want to “shoot for”. So, when I set my goals for the week, I set a realistic goal of three days of exercise each week, with a shoot for goal of five. So, while I may WANT to work out every day, I recognize the fact that some days, that just may not be possible. As long as I reach three, I will be happy. Each week you evaluate your goals. If you see a goal you are consistently missing, Tate leads you through a series of questions to determine why. Perhaps the task is something you just don’t need to do at all, or perhaps that task is something you can outsource to someone else, or perhaps you just need to buckle down and do it. The fact is, Flourish gives you a solid plan for how to determine those things that are most important in your life and how to make time for them. She is also open and honest about how NO ONE can really do everything (at least on their own) and that’s okay. 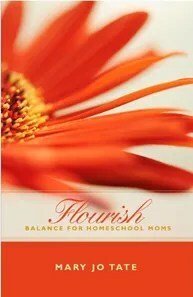 I would definitely recommend Flourish for any homeschool mom who feels overwhelmed. I am now going back to reread all the pages I bookmarked in my first read! The book costs $15.00 and is absolutely worth it!! Since I posted something so tremendously unhealthy last week, I felt the need to post one of my favorite healthy recipes this week. This recipe for Mexican stuffed shells skips the heavy sauce and cheese, but packs in the flavor! 1. Cook pasta shells normally and set aside. 2. In large skillet, cook the beef until done, then drain. 3. Return the beef to the skillet and stir in the salsa, tomato sauce, beans, and corn. 4. 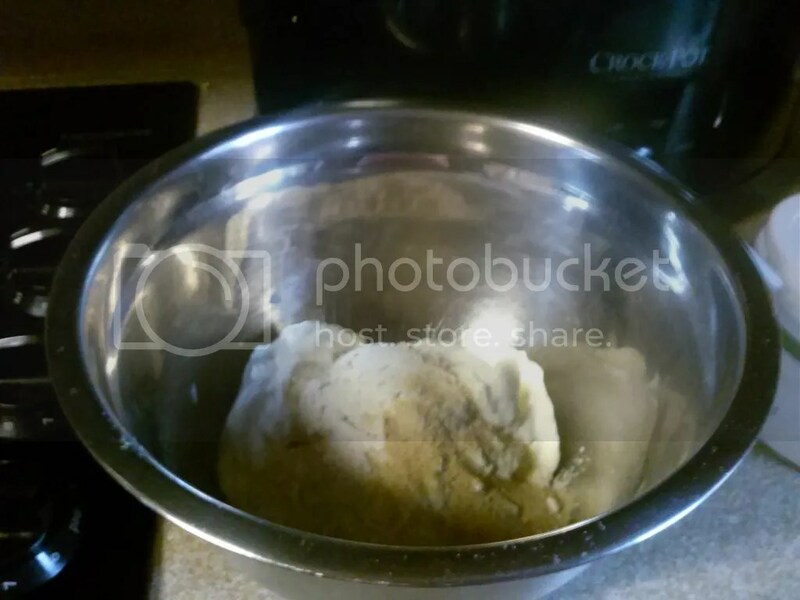 Lightly spray 13X9X2 pan with cooking spray and place pasta shells inside. 5. 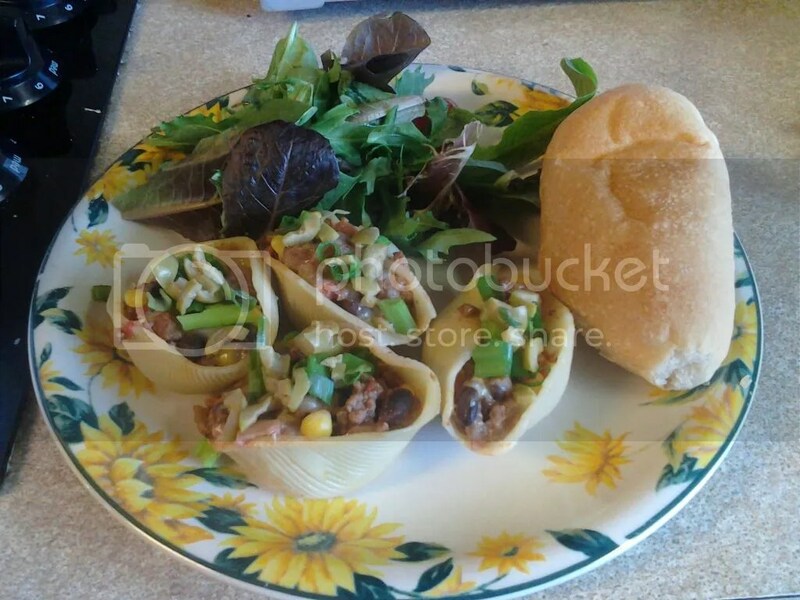 Stuff shells with meat mixture. 6. Cover with foil and bake at 350 for 30 minutes. 7. Sprinkle with cheese and cook 5 minutes more. 8. Garnish with olives and green onions and serve with additional salsa and light sour cream for topping.